This paper proposes a conceptual model standardizing the meeting information structures underlying several scenarios o PDA use in meetings. The paper characterizes the memory and process components necessary to support XML-based interoperability between meeting systems. The scenarios, information model and architecture were validated through their adoption in three applications, developed by different teams and covering quite different domains. 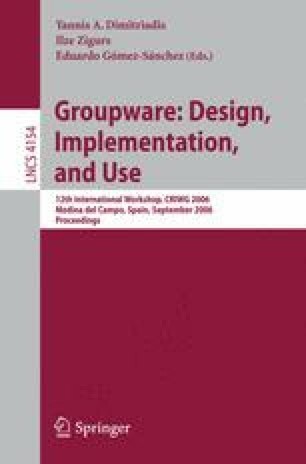 The applications, encompassing several meeting scenarios and adopting multifaceted device combinations, demonstrate the high level of interoperability supported by the proposed conceptual model.